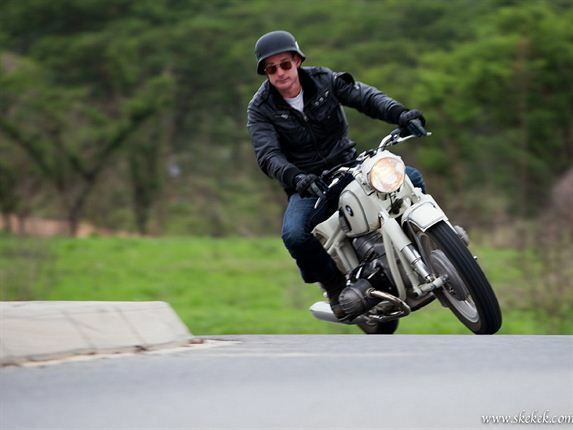 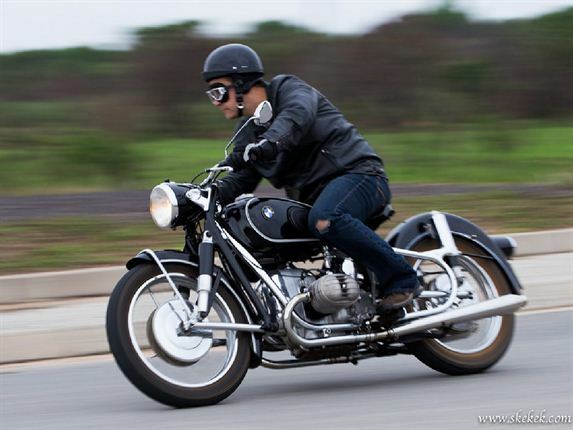 TAKING ON THE TWISTIES: Heinrich Human on his 1963 BMW R50/2 taking a bend. 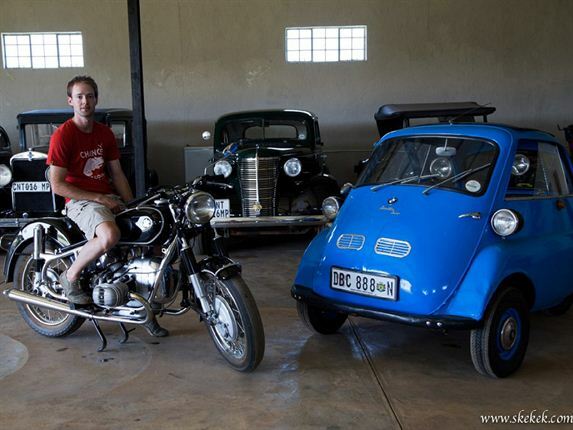 Image: JOHAN VERMEULEN. 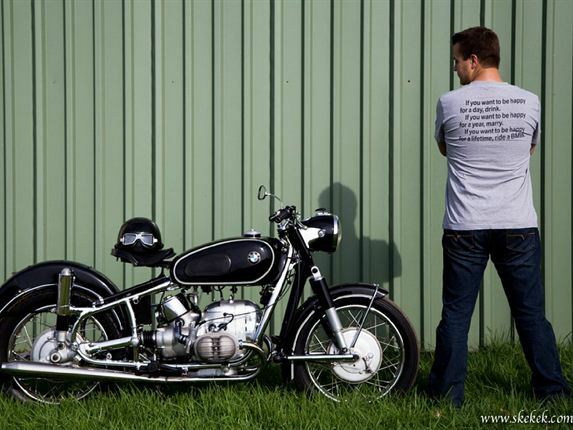 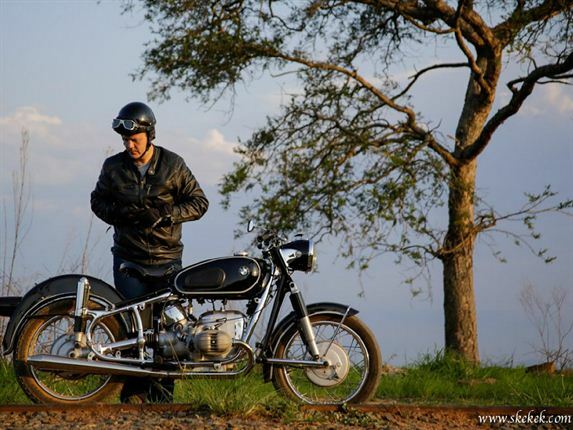 1957 BMW R50: Dieter Meyer poses with his 1957 BMW R50. 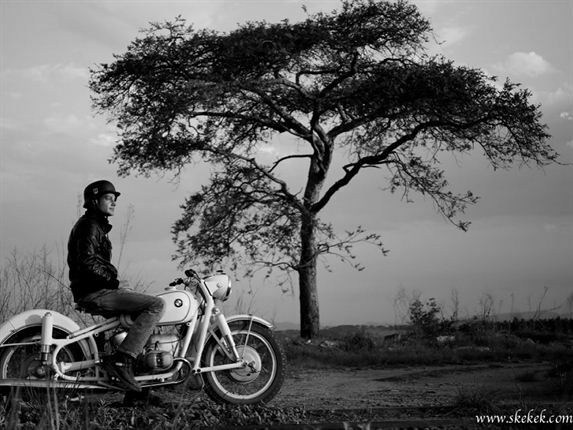 Image: Anthon Wessels. 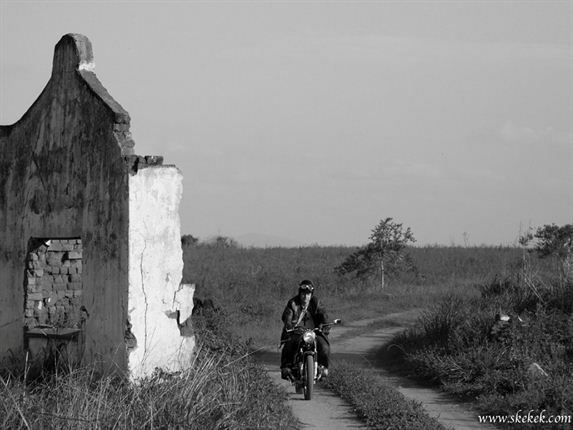 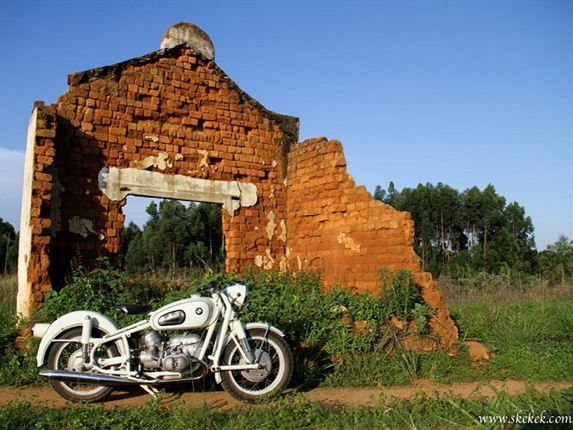 BEAUTY SHOTS: The 1957 BMW R5O looking beautiful in front of these ruins. 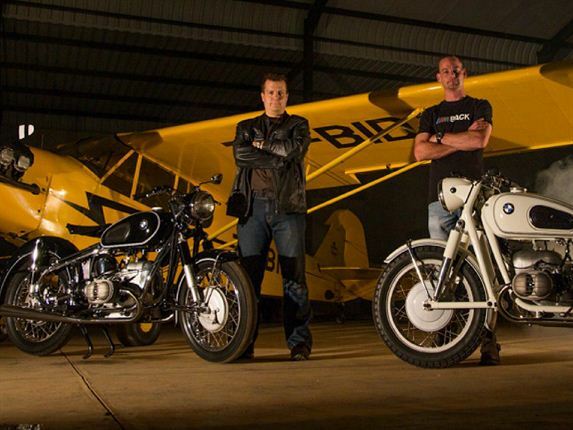 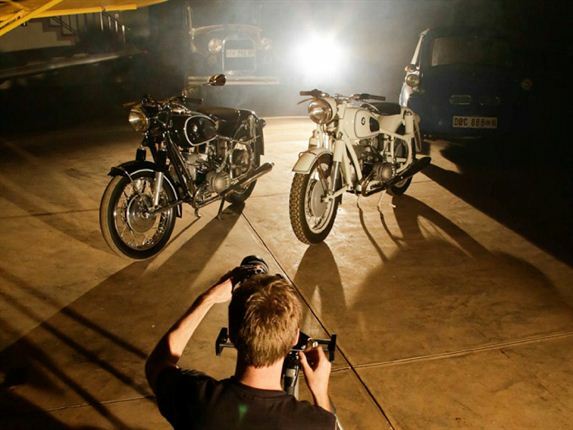 IN THE HANGAR: Johan Vermeulen filming the two bikes in the hangar. 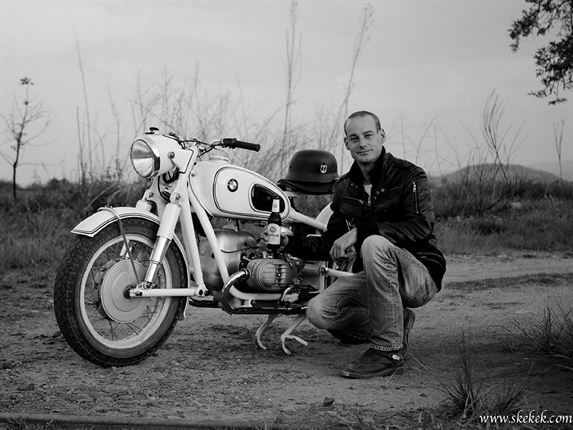 Photo by ANTHON WESSELS. 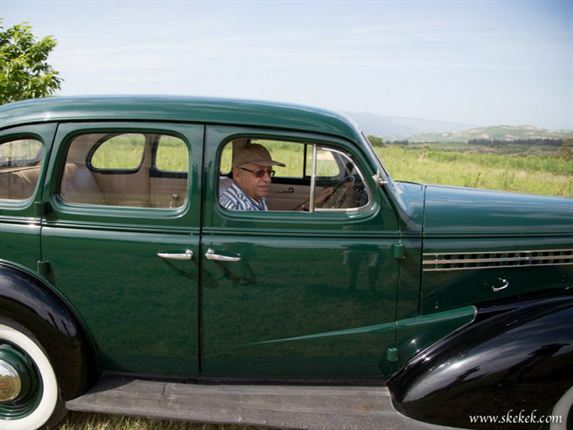 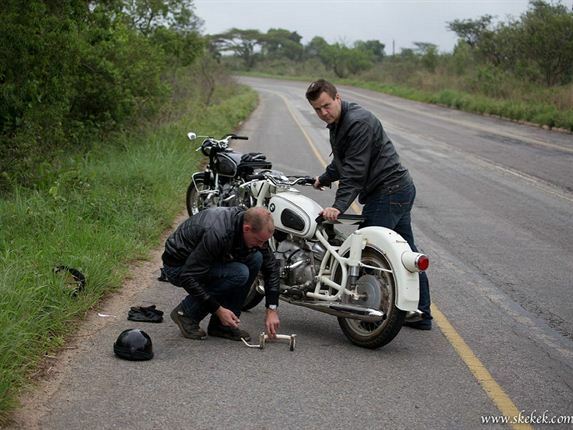 ON THE OPEN ROAD: Heinrich Human (left) and Dieter Meyer filming on the open road. 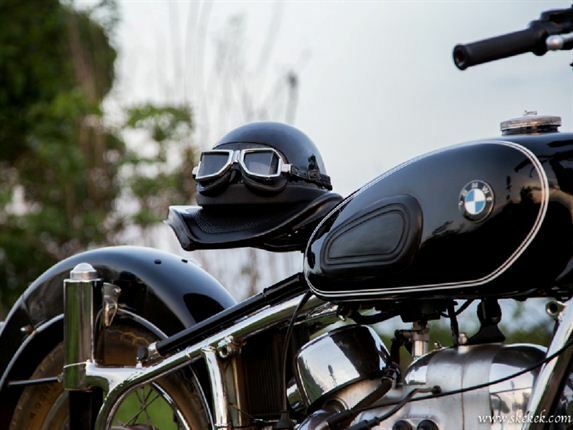 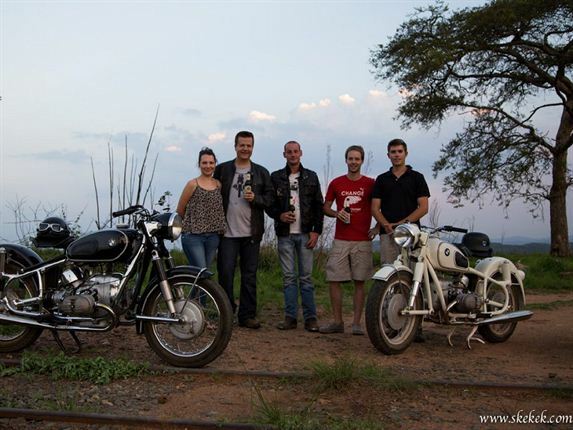 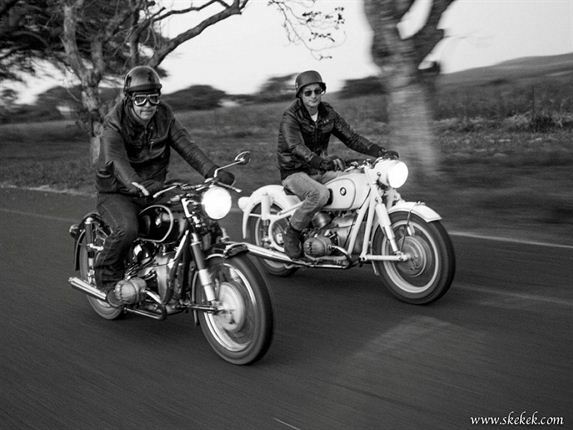 These bikes still run smoothly on the open road in the picturesque low-veld. 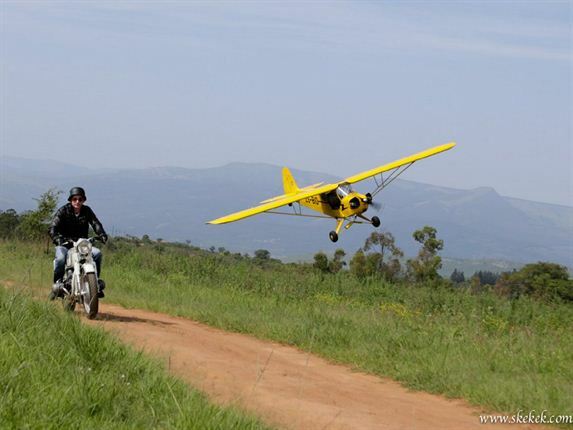 Image: JOHAN VERMEULEN. 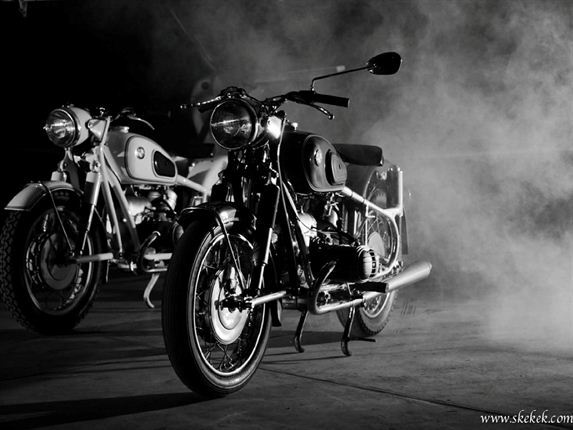 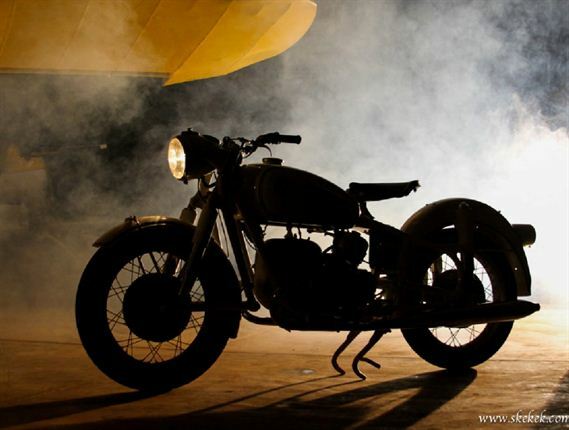 Silhouetted against smoke - the 1957 BMW R50/2. 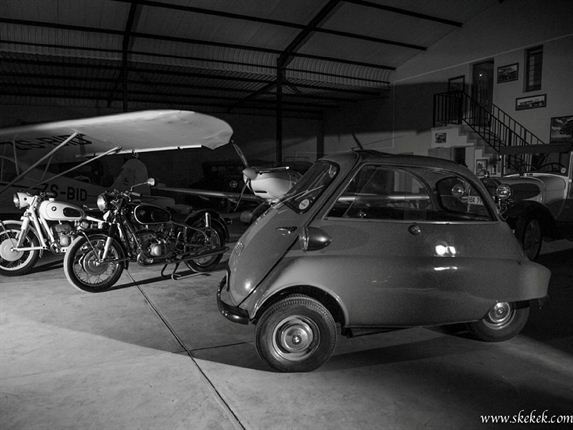 Image: JOHAN VERMEULEN. 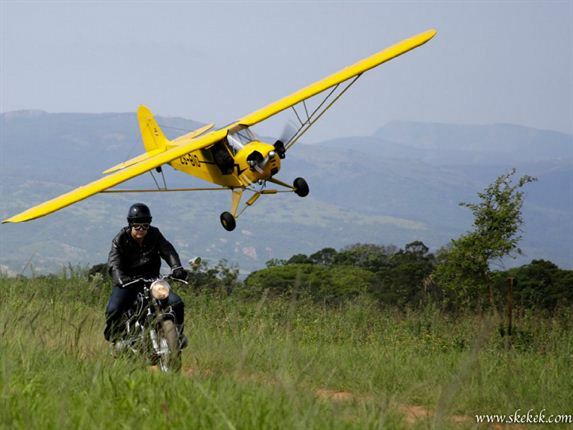 Dieter Meyer on the dirt roads, with Colin Wille flying low overhead in a 1946 J3 Piper Cub. 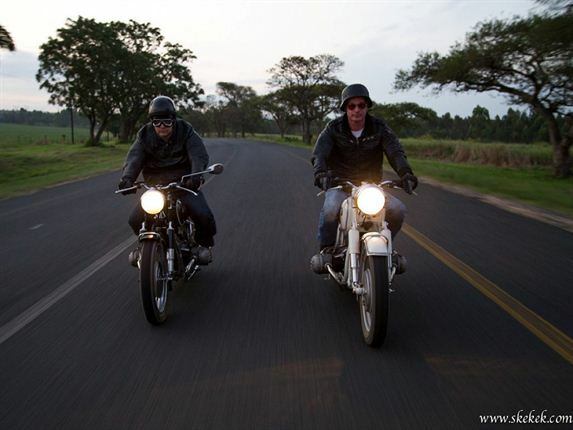 Image: ANTHON WESSELS. 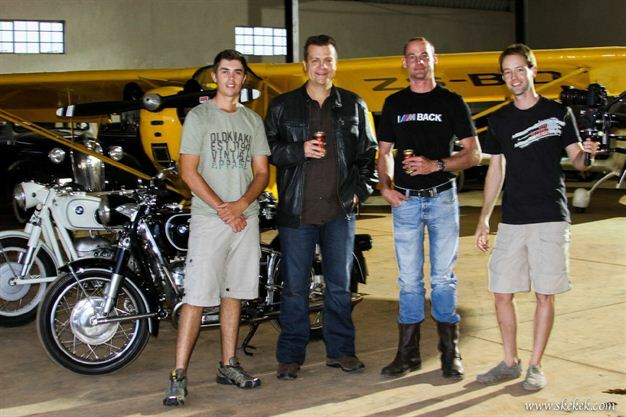 THAT'S A WRAP: Having a sundowner at the end of the last day of filming.